Today we take a look at a car that is definitely collectible, but somewhat under appreciated by today’s market. During an era where Cadillac admittedly lost their #1 position in the luxury car field, there was a shining light in the form of the smaller, more nimble and modern Cadillac Allante. Cadillac needed a statement car in the late 80’s, as younger buyers flocked to the European marques for their favored new cars. Next generation buyers knew your daddy drove a Caddy, so they simply wanted something different – Beemers and Benzes for the most part – and GM knew they needed to step up their game. 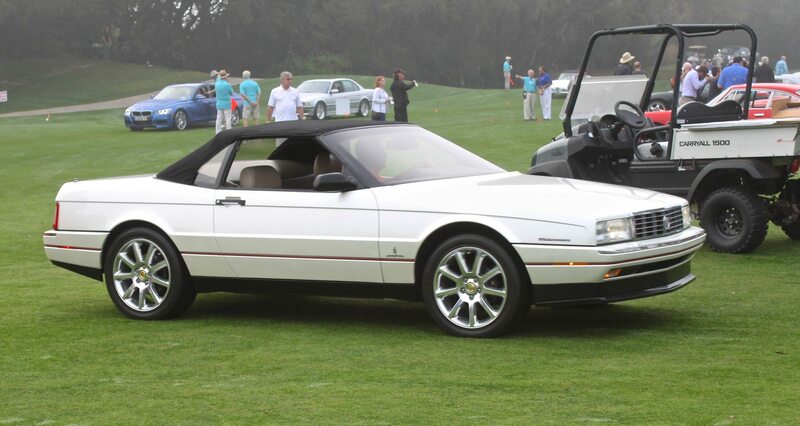 The Allante was Cadillac’s first venture into the ultra-luxury roadster market in many years, decades after dominating the drop-top luxury car market. The Allante was sold from 1987 through 1993, with roughly 21,000 models built over its 7-year model run. Cadillac planned on producing 6,000 units per year, however, actual sales figures show Cadillac only built about half as many. 1992 was the lowest production of all the Allante’s with only 1,931 produced. The Allanté convertible for 1992 was priced at $58,470 including the mandated gas-guzzler tax, which was now at $1,300. The Allante was the most expensive Cadillac ever at that time. Pricing reached $62,790 fully optioned and with the removable hardtop. The digital cluster was optional on the convertible, adding $495. 1992 was the last year of the multi-adjustable Recaro seating design, as 1993 would go into production with less expensive Lear-designed 8-way dual power seats. Also available on the convertible was the optional pearl white paint group, priced at $700, an option bought by just 443 lucky owners. This beautiful example we photographed at the Heacock Classic Cars and Coffee event at the Amelia Island Concours was displayed in excellent condition, with both a like-new soft top and the optional aluminum hardtop. Inside, the interior is an elegant statement, with contemporary lines and the latest technology. The leather seats are in great condition, and 1992 his the last year for the 8 way power Recaro seats in these cars. Everything is power assisted, with a standard Delco/Bose premium sound system front and center. This car is simply in excellent condition, and it features the optional digital dash cluster – quite the techy look for 1992. Under the hood, the 4.5 liter V-8 pushes out 200 HP, and has plenty of power, with a 4 speed automatic transmission and independent suspension. 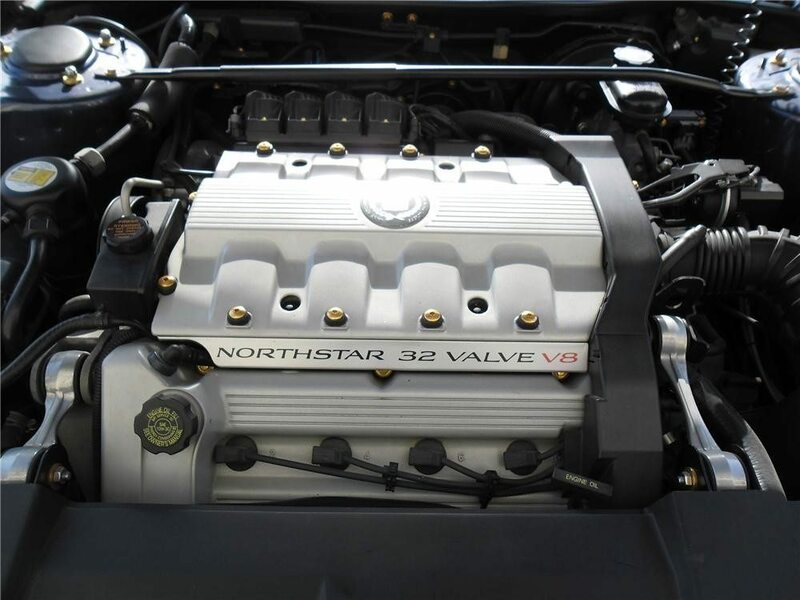 4-wheel ABS disc brakes and an adjustable suspension dampening system were standard, and in 1993, the last year of production, the final 4,670 Allantes featured the 4.6 liter overhead cam Northstar V-8, pushing the horsepower up to 295 HP. We’re pretty sure that the Allante will be appreciating soon, as they have begun to appear in many large collections as the very best Cadillac of the era. If an Italian designed luxury car sounds good to you, don’t hesitate, as great Allantes won’t remain affordable for long.